In a country that maintains a stark divide between the public and private sectors, Marie-Claire Daveu stands out as an anomaly. After rising rapidly through the ranks of France’s civil service, Daveu moved to the political side as technical adviser to the cabinet of Prime Minister Jean-Pierre Raffarin and then as chief of staff to Serge Lepeltier, minister of ecology and sustainable development. In 2005 she moved over to the private sector, becoming head of sustainable development at French pharma giant Sanofi-Aventis. In 2007 she returned as chief of staff to Nathalie Kosciusko-Morizet through various cabinet posts including minister of ecology, sustainable development, transport and housing.During this period she was one of the key architects behind France’s two sweeping environmental laws known as Grenelle and Grenelle II, solidifying the strong commitment to sustainability held at the time by President Nicolas Sarkozy’s centre-right UMP party. The legislation touched on everything from transportation to renewable energy targets, including the introduction of a mandatory corporate social responsibility (CSR) reporting regime targeted at the private sector. After the UMP was swept from power in 2012, Daveu joined French luxury goods holding company Kering as chief sustainability officer. Since then she has helped refine Kering’s pioneering environmental profit and loss (EP&L) report, an attempt to fully measure the company’s environmental footprint, and has begun overhauling its supply chain. 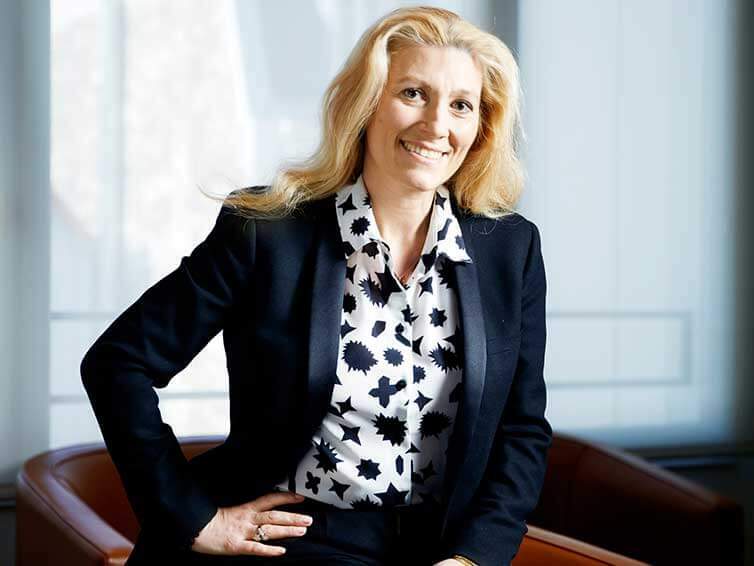 Corporate Knights recently caught up with her to discuss the scope of the Grenelle laws, the importance of CSR reporting and what Kering has learned through its EP&L report. CK: Can you describe to me the goals and the process around the Grenelle acts? Daveu: What is very interesting for me when you are thinking about the “Grenelle de l’environnement” process was the primacy of both format and content. It was, for the first time, a multi-party debate that brought together different representatives from labour, industry, environmental NGOs and local government. Everyone was on an equal footing. The objective was to determine – and you can imagine that at the beginning there were different ways of thinking about the issues and diagnosing the problems – how to tackle sustainability in a holistic manner, to design the blueprint for ecological policy and sustainable development over the following five years. What was very interesting was that there were no topics that were off limits, nothing was blocked as taboo. CK: What was ultimately included in the two bills? Daveu: It was imperative for us to establish a common objective that the nation could get behind, so the bills touched upon six major areas: building and housing, transportation, energy, health, agriculture and biodiversity. A number of innovative ideas were adopted, including the creation of a “green grid” linking natural areas together throughout the country to encourage the maintenance and spread of biodiversity. On the housing side, along with efforts to fight urban sprawl we began requiring landlords to disclose the energy performance of their buildings ahead of time [so] renters knew what they were getting into. CK: Let’s get into Section 225 in particular, the section of the law that made CSR mandatory. Daveu: For a company to make improvements on sustainability, it needs to first quantify where it stands. This is the same approach taken for financial metrics. If you don’t know exactly where you are, you won’t be able to put in place and to define an action plan to fill in the gap. This applies to all listed companies, as well as unlisted companies with more than 500 employees and €100 million in revenue. We wanted to help catalyze a movement within each company to make incremental environmental improvements over time, not simply create another unsexy reporting requirement. Section 225 was an attempt to lay out a path for the future. We firmly believed that it was the responsibility of the public sector to facilitate change within the private sector. It’s a very French approach, one that might not work as well in other jurisdictions around the world. But I think that five years on we’ve been vindicated, with the European Commission moving to replicate many of these steps and to build upon them as well. CK: How does this relate to Kering’s EP&L? Daveu: It takes reporting a step further than the Section 225 requires. We are not only measuring our own operations, but are beginning to take into account all of our supply chain from Tier 1 (direct suppliers) all the way up to Tier 4 (raw material production). We believe that if we truly want to reduce any negative impacts we bring about as a worldwide company that we need to first place a monetary value on it. For example, using one metre of water in Western Europe doesn’t have the same local and regional impact than if you’re using the same amount in sub-Saharan Africa. We try to quantify this impact as a dollar amount so it can be properly measured and then addressed. So this is why Kering created this tool, to be able to measure everything from land use to waste across our entire supply chain. The original idea came from François-Henri Pinault, Kering’s CEO, and beginning in 2011 a few pilot projects were launched with [subsidiary] Puma. Since then we’ve been working with both PwC and [independent] environmental and economic experts to improve the methodology to the point that last year we were able to publish an EP&L report, I believe the only company thus far to have done so. Our CEO also decided to make the formula open-source. The thinking was that if we want to bring about a paradigm shift and reset business on a more sustainable path that we have to share the best practices. Kering is big, but it’s not big enough to change the world all by itself. CK: What were some of the most surprising discoveries made through the EP&L? Daveu: We had a sense that it was big, but the outsized impact our supply chain had was stunning. For example, only 7 per cent of Kering’s environmental impact was connected to our own operations – the rest is supply chain. In terms of overall greenhouse gas emissions, over 50 per cent is linked to cattle and cotton farming. This has brought about a real culture change within the company, where all of a sudden Kering is working much more closely with industries such as the livestock sector to reduce carbon emissions. 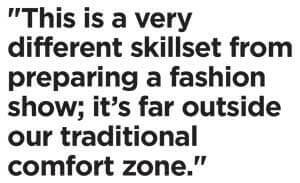 This is a very different skillset from preparing a fashion show; it’s far outside our traditional comfort zone. CK: Is it better to simply set stringent standards for suppliers to meet or to work with them directly? Daveu: When you’re working on the luxury side, most of them have been suppliers for many years. You have a long-standing relationship with them. So we try really hard to work with them and to share best practices, as well as to support them and implement new practices. This remains an ongoing process, because often the suppliers need to invest and we need to find the right action plan that makes this feasible. This also means working with NGOs that are experts in this field. For example, we use pythons in our supply chain for Gucci and other brands. Two years ago, we did a study to see where the most sustainable place to source pythons would be. Do best practices involve python farming or is it less impactful to source those that come from the wild? We decided to work with the International Union for Conservation of Nature to design social, environmental and animal welfare criteria. Sometimes we need to determine exactly what sustainability means in a certain aspect of our supply chain before establishing new guidelines for suppliers. We’ve also created the Materials Innovation Lab, a hub based in Italy to work with suppliers to see how they can improve their practices linked with cotton and leather and other goods. So we’ve put into place different tools and practices to be very operational with our supply chain and our suppliers.